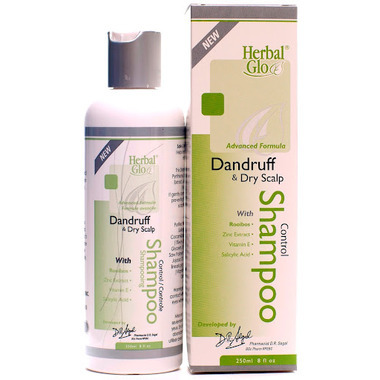 Helps remove dandruff flakes and moisturizes dry scalp. This shampoo is enriched with Zinc Pyrithione, Sage Leaf Extract, Birch Bark Extract, Aloe Vera Extract, Panthenol (Vitamin B5) and Rooibos. It gently cleanses and moisturizes the scalp, preventing irritation. Leaves the hair and scalp feeling soft and healthy. Ingredients: Purified Water,Sodium C14 – 16 Olefin Sulfonate, Decyl Polyglucose, Cocamidopropyl Betaine, Zinc Pyrithione, (1%w/w), Hydrolyzed Wheat Protein, Glycerin, Birch Bark Extract, Sage Extract, Saw Palmetto, Salicylic Acid, Biotin, Inositol, Jojoba Oil, Rooibos Extract (Aspalathus Linearis plant) , Polysorbate 80, Panthenol (Vitamin B5), Vitamin E, Citric Acid, Grapefruit Seed Extract. It works! Lathers nicely and smells good even though there is no fragrance added to it. this shampoo is great! it has cleared up a long time scalp problem. No odour and I'm not allergic to it, so very satisfied. This product works alright, but is not better in any way than cheaper products like head and shoulders. So why would you want to pay more for something that work the same or less, and come in less quantity? Will I recommend? No! Unless you want to waste your money. This shampoo got rid of the build up of dead skin cells that I have had on my scalp. It is not itchy anymore and I hardly have any flakes at all now. It works for getting rid of my winter dry scalp and is also a nice shampoo, cleans well and doesn't dry out my hair.